Have you ever tried to wrap a present? It's the worst. First you have to do the measuring, then you have to make a straight cut, and then you have to fold it right so it doesn't look like a five your old did it. 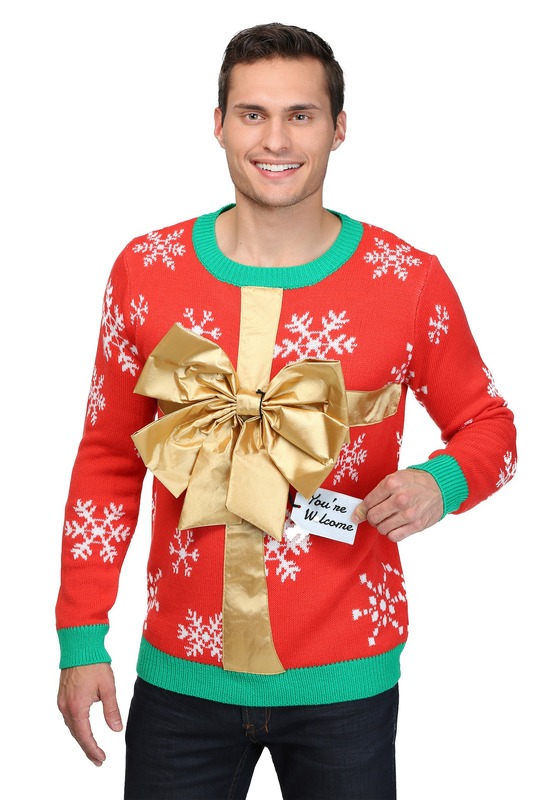 Who wants that much hassle during the already stressful holiday season? Not us, that's for sure, and we're assuming you don't either. 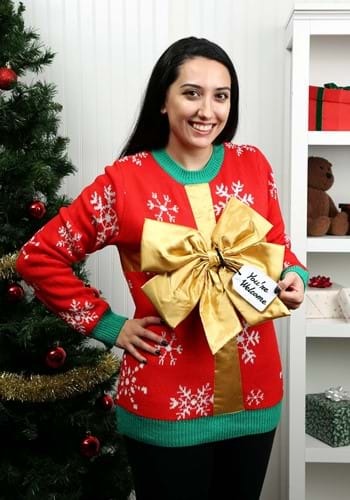 That's why you should wear this Christmas Present Ugly Christmas Sweater and just give the gift of your own sharp wit to your friends and family and not have to wrap any gifts besides yourself. You're welcome, world!